Fire razes Gboko main market, traders lose millions . 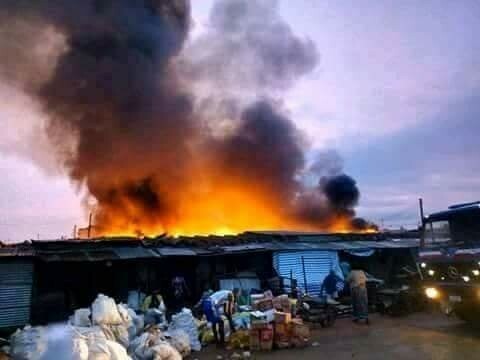 The main market in Gboko Local Government Area of Benue State in the early hours of Monday, October 1st, 2018 was razed down by fire. Residents and business owners in the area have described the incident as catastrophic. According to an eyewitness, the fire, which started in the early hours of the day consumed over 300 shops and goods worth millions of Naira. As at the time of filing this report, the cause of the fire outbreak was yet to be ascertained.